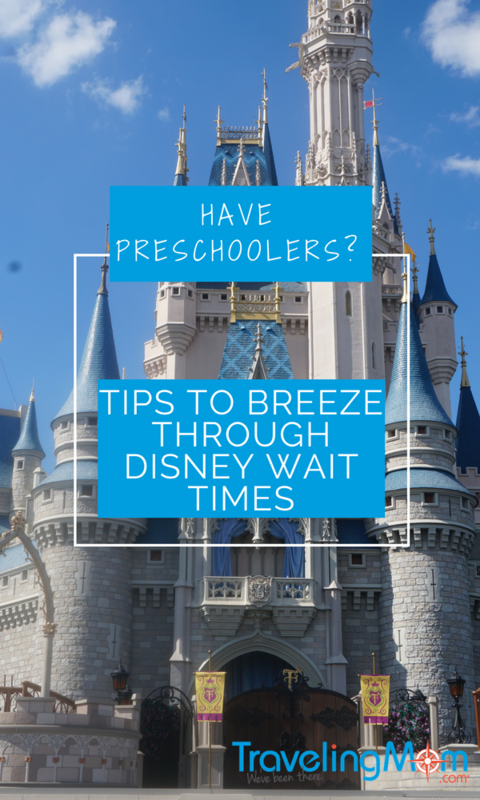 How to Breeze Through Disney Wait Times With Preschoolers. Photo by Multidimensional TravelingMom, Kristi Mehes. 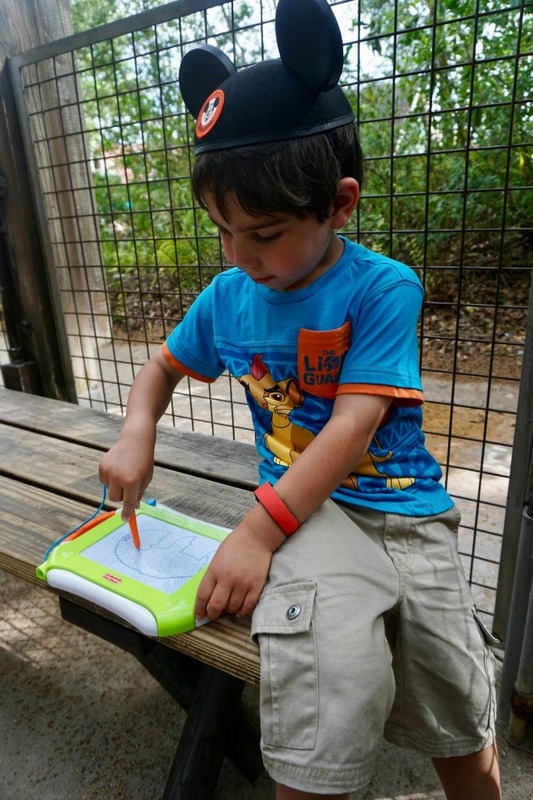 Younger children, especially preschool aged children, are at a transitory stage in life and Walt Disney World is more than rides and attractions. Unfortunately, Disney wait times are also part of the park experience. Here are 8 fun things to do while waiting in line at Disney! 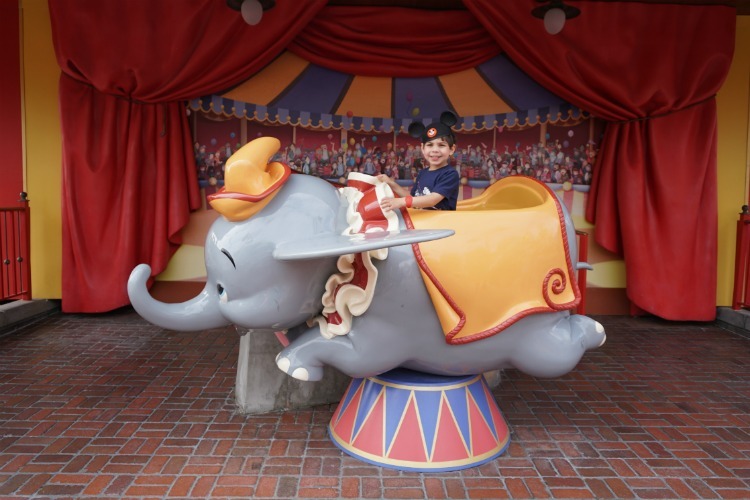 One of the fun things to do while waiting in line at Disney is play before you ride with iconic photo opps on Dumbo the Flying Elephant. Photo by Multidimensional TravelingMom, Kristi Mehes. I know several people who wait until their children are older to plan a vacation to the Disney parks. My son has visited the Disney parks on 6 different occasions now. At 4 years old, I think younger children are at the ideal age to start experiencing the magic of Disney. While the thought of standing in long lines with a young child can put the fear in any parent, it can be done. Not only can it be done, but it can be enjoyable, too! Here are 8 fun things to do while waiting in line at Disney! Playing with a Disney bubble maker/wand provides endless entertainment, which is why it’s one of the fun things to do while waiting in line at Disney. Photo by Multidimensional TravelingMom, Kristi Mehes. One of the fun things to do while waiting in lines at Disney is play with Disney bubble makers/wands. Most of the Disney parks have them, and there’s a reason why. Not only do bubble makers provide entertainment for preschoolers, but it’s also a fun souvenir to bring back home. My son gets a new Disney bubble maker/wand every time we visit Disneyland and Walt Disney World and he can continue using it at home. 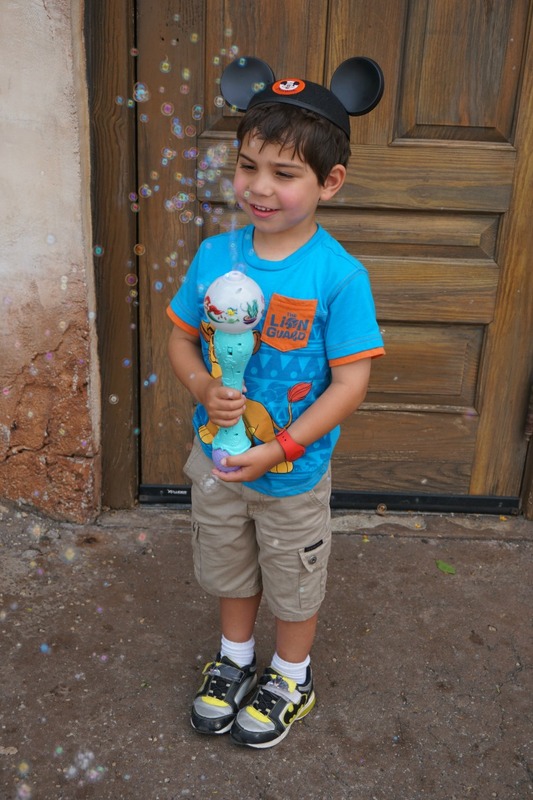 During this last trip to Disney World, we bought him a Little Mermaid bubble maker which not only blows bubbles but also plays music. There are several fun things to do while waiting in line at Disney with younger children, like taking silly selfies. 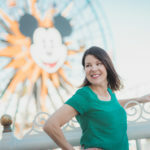 Photos by Multidimensional TravelingMom, Kristi Mehes. Creating fun pictures with a drawing tablet (similar to an etch a sketch) is is one of the other fun things to do while waiting in line at Disney. A drawing tablet is a lifesaver when traveling and one of the fun things to do while waiting in line at Disney. Photo by Multidimensional TravelingMom, Kristi Mehes. My son received one for his birthday a couple of years ago, and it’s become a lifesaver, both at home and while traveling. It doesn’t take up a lot of space, and easy to carry around in a backpack – which especially came in handy at Animal Kingdom. My son enjoyed drawing pictures of some of the animals he saw. As a parent, I like that the drawing tablet isn’t messy and doesn’t require crayons to carry around. Munching on yummy snacks, like cotton candy, is also one of the fun things to do while waiting in line at Disney. Photo by Multidimensional TravelingMom, Kristi Mehes. We’ve relied on yummy snacks more times than we can count to get through Disney wait times. There’s definitely not a shortage of snacks at the Disney Parks. 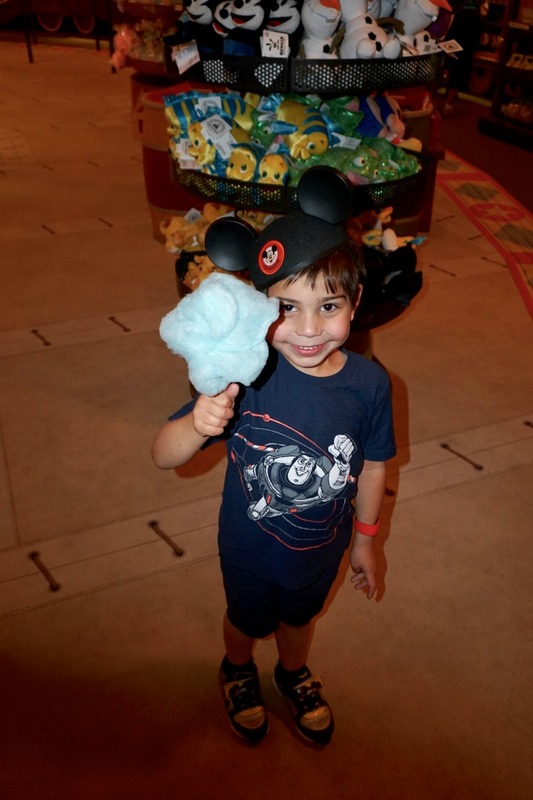 For example, a cast member handed my son some cotton candy without him (or us) even asking. Munching on popcorn is also one of the fun things to do while waiting in line at Disney. We bought our son a refillable popcorn bucket, and he put it to good use. Like the Disney bubble maker/wand, it’s also a fun souvenir to bring back home. My son loves hamming it up for the camera. Photo by Multidimensional TravelingMom, Kristi Mehes. Walt Disney World wait times are easy-peasy when you let your preschooler ham it up for the camera. My son loves it when I take pictures of him with my phone and then show him the pictures that I took. This is endless entertainment for younger children (and even adults!) and can be one of the fun things to do while waiting in line at Disney. Waiting to meet Buzz Lightyear and Woody in Hollywood Studios can provide younger children with plenty of opportunities to make silly faces for photos! Photo by Multidimensional TravelingMom, Kristi Mehes. Choose rides that have interactive queues, and your Disney wait times flies by. Several rides in the Magical Kingdom have interactive queues, like the Many Adventures of Winnie the Pooh, Seven Dwarfs Mine Train, and Dumbo. Indeed, waiting is part of the overall experience for them! Enjoying the Interactive queues for rides is one of the fun things to do while waiting line at Disney. Photo by Multidimensional TravelingMom, Kristi Mehes. 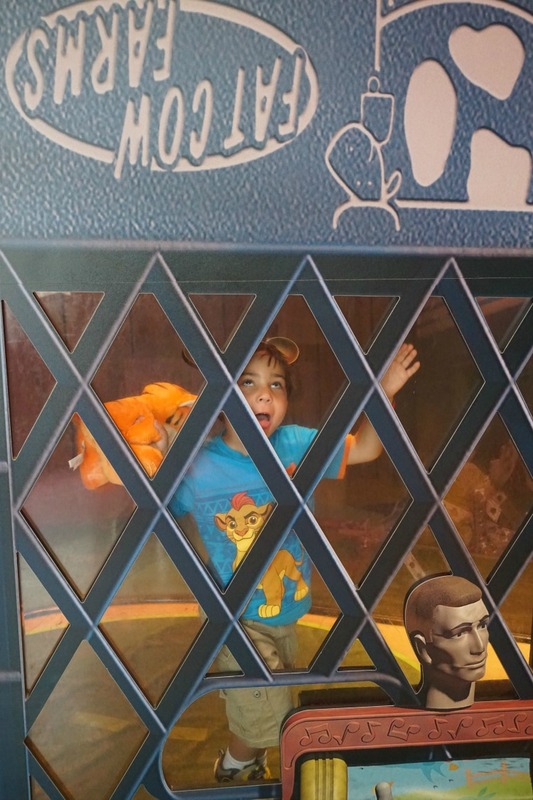 My son especially enjoys the interactive stations at The Many Adventures of Winnie the Pooh as much as he likes the ride itself. 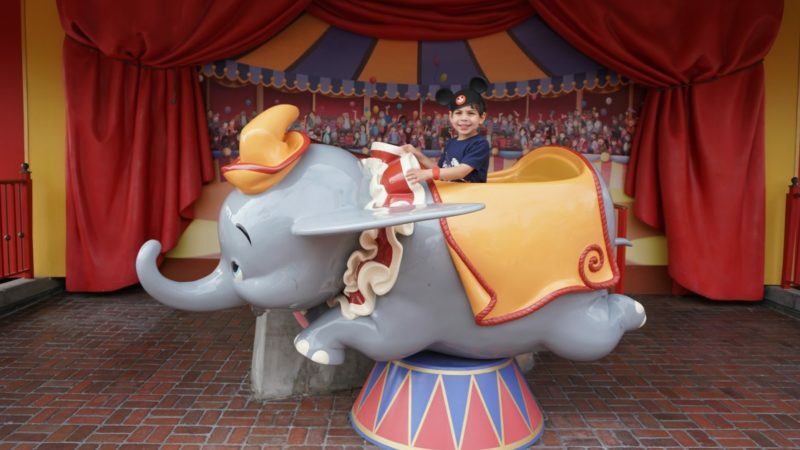 And the waiting area for Dumbo is extremely family friendly – children can play indoors while parents relax on benches. Even better, it has air conditioning. 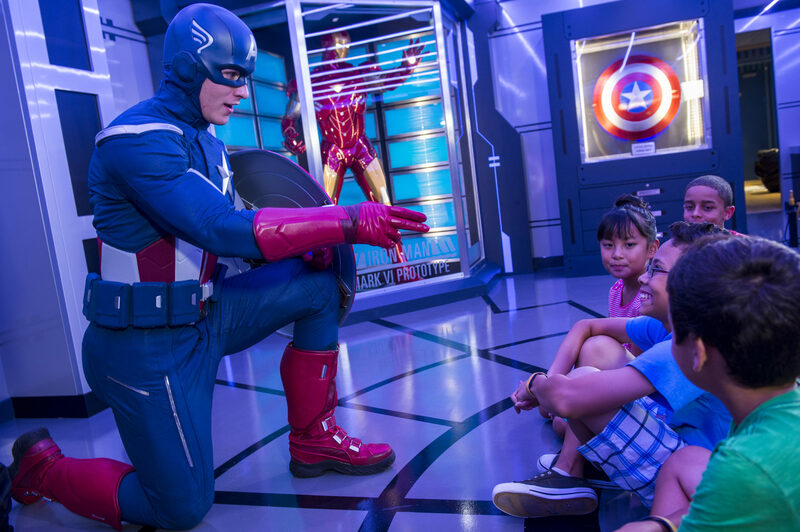 Decrease Disney wait times with younger children by using FastPasses. Reserve three FastPasses+ a day per person. Choose the more popular rides that you know your child will enjoy. For example, Peter Pan’s Flight is always an attraction that has a long line and one that we always choose to use a FastPass+. Also, if you’re staying on Disney property, you can link FastPasses to MagicBands. 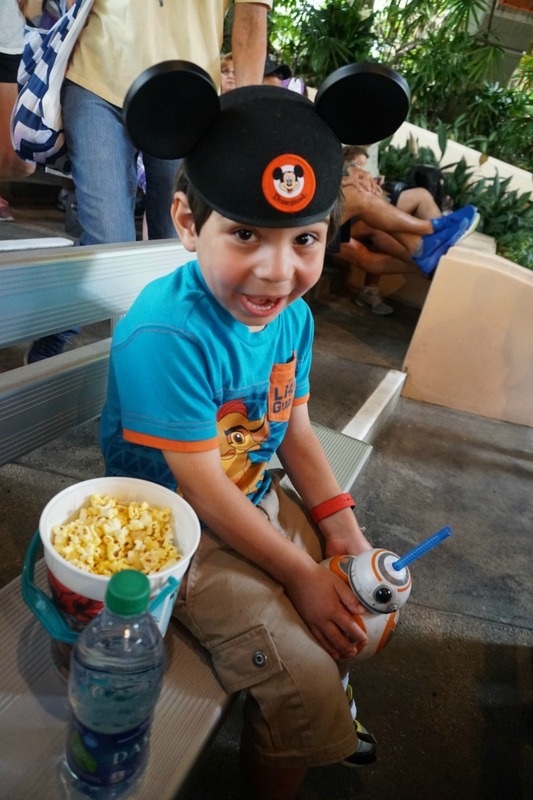 My son loved his MagicBand and became a pro using it for FastPasses. Ready, set, go! 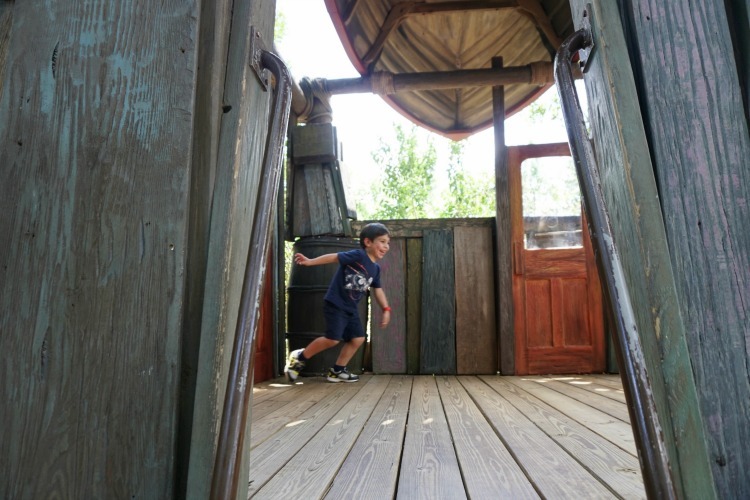 Tom Sawyer’s Island is a great place for younger children to burn off some of their energy. Photo by Multidimensional TravelingMom, Kristi Mehes. Several areas in the Magic Kingdom allow younger children a chance to explore and burn off some energy, like Tom Sawyer’s Island and Casey Jr. Splash ‘N’Soak Station. The Splash ‘N’Soak Station is especially nice when the weather is hot – just be sure to bring an extra pair of clothes for your child since he/she will get soaked! 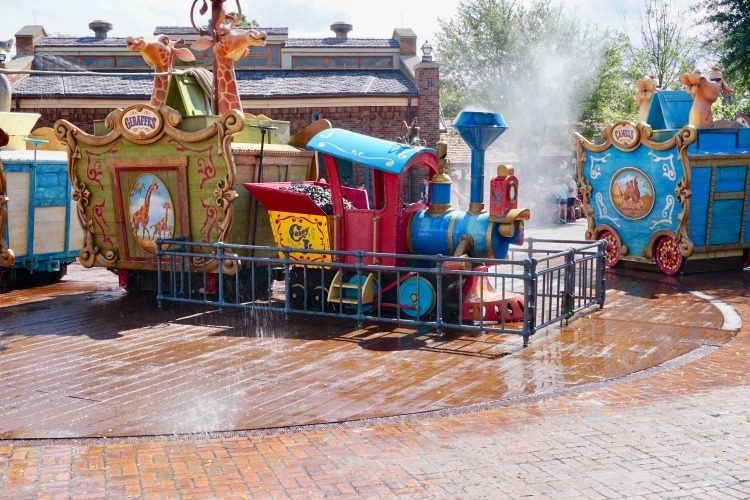 Taking breaks and allowing younger children to explore and burn off energy at play areas, like the Casey Jr. Splash ‘N’ Soak Station, is one of the fun things to do while waiting in line at Disney. Photo by Multidimensional TravelingMom, Kristi Mehes. 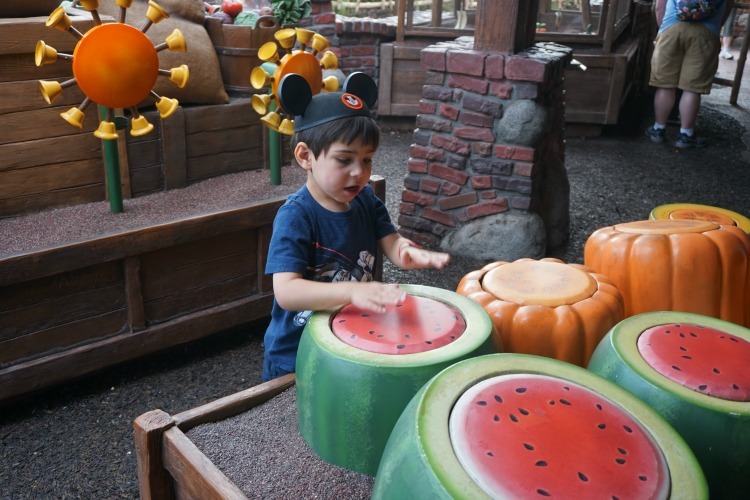 The other Disney Parks also offers several play areas for young children. 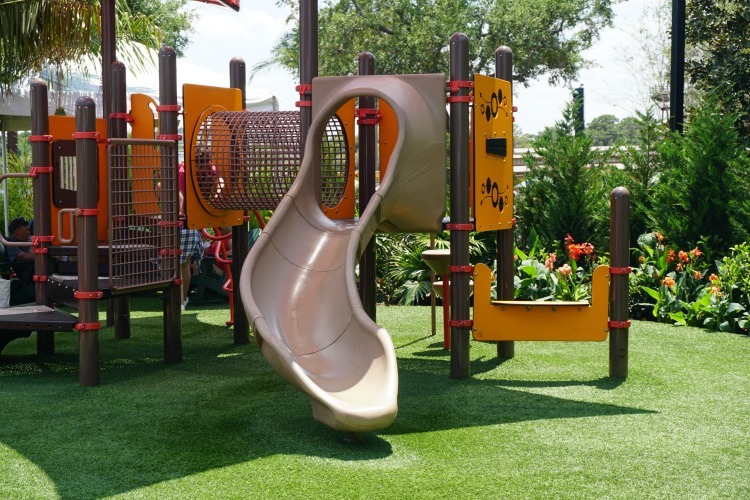 Epcot has a great play area for them, where they can go down slides, climb ladders, and play musical instruments. Plenty of shaded areas and benches give parents a chance to sit. Taking breaks in play areas is one of the other fun things to do while waiting in line at Disney. 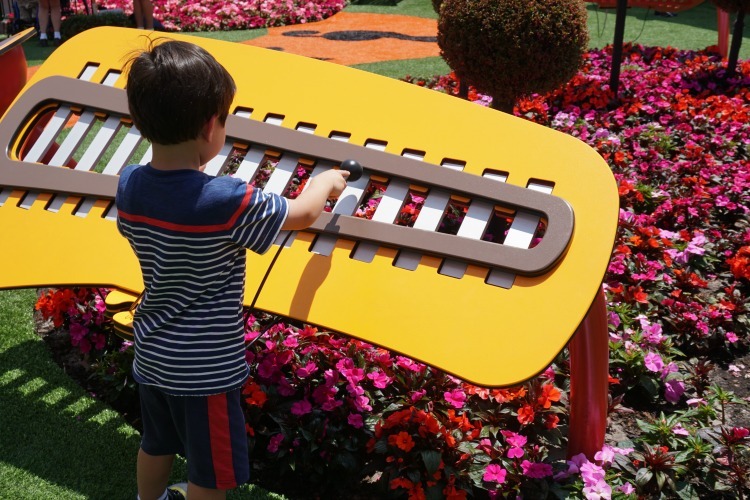 This musical instrument in Epcot was a huge hit with my son. Photo by Multidimensional TravelingMom, Kristi Mehes. My son could have easily spent hours here if I had let him. Photo by Multidimensional TravelingMom, Kristi Mehes. Playing interactive games, like I Spy, are fun ways to wait in line at Disney. Photo by Multidimensional TravelingMom, Kristi Mehes. Playing interactive games like I Spy and Find the Hidden Mickey is more fun things to do while waiting in line at Disney. Not only are there several hidden mickeys through the Disney Parks but there are also other fun objects to point out to them. 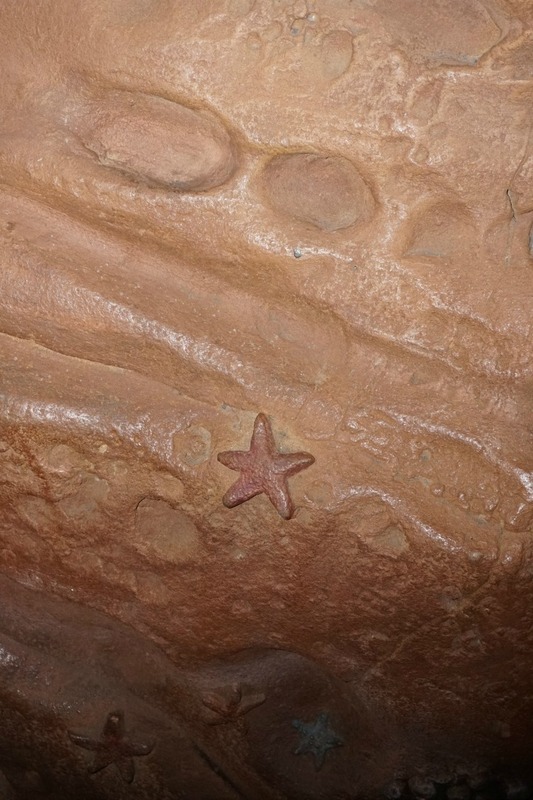 While we were in line for Under the Sea – Journey of the Little Mermaid, I asked my son to start counting the starfish. It’s a great distraction while waiting in line. Headed to the Most Magical Place on Earth? Traveling Mom recommends Undercover Tourist for discounted tickets. Do you have young children? What are some of the fun ways to wait in line at Disney? Please share with us in the comments below. Kristi Mehes is a full time working mom who lives in the Southwest with her son, her husband, and golden retriever. She’s always dreaming of and planning her family’s next adventure! 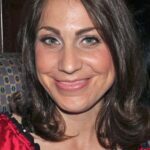 She’s traveled extensively throughout the United States as well as Canada, Central America and Europe. Now that she has a 5 year old son, her trips have taken off in a new direction. You can read about her family’s adventures at The Cactus Chronicles. Really enjoyed reading this article. Even my 13-year-old daughter can still be distracted by bubbles. I never thought of having them take silly photos. so much to look at in queue – easy to play I Spy!